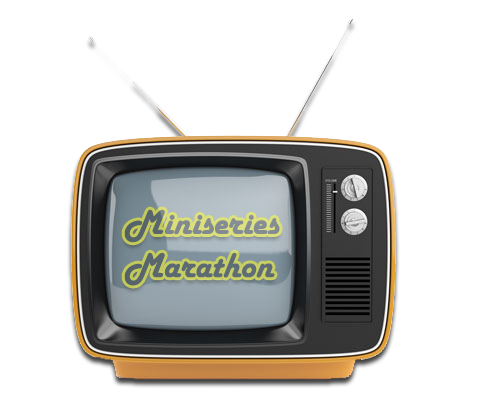 NOTE: I will be posting notes about “this miniseries per episode rather than as a whole. Hey, if TV can do it, so can I.
It’s said that “Rich Man, Poor Man” is the first American miniseries. Chronologically, that’s not true, but in terms of what it did for the genre, it’s hard to disagree. “Rich Man, Poor Man” took Irwin Shaw’s novel and put most of it on television, for over nine hours (it dropped one of the main characters and re-assigned her plots elsewhere). It was a gigantic success, and one that definitely drew the lines for a whole new sub-genre of television. As often happens in Hollywood, there was an immediate race to capitalize on its success, but that turned out to be good news! Instead of cheap imitations, everyone worked hard with their projects, looking to be the next “Rich Man, Poor Man.” The books chosen for miniseries adaptation in the late 70s were almost always excellent choices. We need look no further than “Roots” or “Centennial” as proof, but there are plenty of fantastic examples. “Rich Man, Poor Man” did not just decree that major novels were no longer too big for the small screen in the United States or that its audiences had larger attention spans than expected. It actually set a whole lot of rules that would hold for the span of the network miniseries glory days. Take, for example, the slumming movie star. “Rich Man, Poor Man” has plenty of them (though they all turn in stellar work). But, at the same time, it also took a chance on newer talent to fill the leads: Nick Nolte, Peter Strauss and Susan Blakely. The latter two would remain fixtures of the genre and go on to great television careers, while the former went big-time Hollywood. For the next decade, the miniseries wasn’t always afraid to try unknowns, because you might just hit the next Nick or Peter on the way up. Just as a point of fact, “Rich Man, Poor Man” did not win the Emmy for…well, that’s the problem. There was a category for “Best Limited Series,” but the nominations for “Rich Man, Poor Man” were not all in that category, spread over a variety of categories. Just about every actor in the piece was nominated (only Ed Asner won), but across many categories. Hollywood wasn’t quite sure what to do with these pieces yet. But, in the category of “Best Limited Series,” “Rich Man, Poor Man” was up against one forgotten network piece and the rest were from PBS, including the winner, “Upstairs Downstairs.” It’s hard to disagree with that outcome, but can you imagine a year in the 90s, 00s or 10s where so much greatness would even happen in one year? Most striking to me is that almost 40 years later, “Rich Man, Poor Man” still holds up as towering entertainment. That’s hard to say for most network miniseries. The genre had become so corrupted just 20 years later that it barely resembled even the palest copy of something as brave as “Rich Man, Poor Man.” Yes, the performances are a bit odd, but there’s a reason for that: is this a TV series or a movie? Which type of acting is required? No one quite knew yet. If you look to the British miniseries for advice, you go for the wildness that Ed Asner provides (though he’s marvelous), but if you look at series TV for advice, you get the gentler performances of Strauss and Blakely (Nolte is in a world of his own, as usual). So, that is forgiven. The story, really very simple, still has great emotional pull and everything is so precise that it still feels important. A miniseries this well done not need to drip history and costumes. It just needs to grip with story and characters, which “Rich Man, Poor Man” does from the onset. Just as an FYI, we’re not discussing “Rich Man, Poor Man” Book 2 right now. There’s no reason to ruin the beauty of this piece with that ghastly garbage. We begin with the celebrations of VE Day in Port Phillip, New York. Note two things here already. The war is already over, so this is not a story of military heroics, and we’re in a tiny American town, not the big city. Things may grow larger, but at heart, this is a small story. While everyone celebrates outside with fireworks, yelling, singing and merriment, baker Ed Asner is singing the German national anthem as he prepares the bread. “They can hear you clear out in the street,” his disapproving wife Dorothy McGuire, clutching an American flag, chides him. “Where do ya think ya are?” she asks, “Germany?” “No, madame, hell,” he replies and takes another swig from a bottle. Nolte is watching the celebrations atop a football goal post, unimpressed and detached. As for Peter’s girlfriend Susan Blakely, she’s almost as unbelievably sweet as he is. We encounter her reading “Gone With the Wind” to maimed veterans, complete with different voices for the characters. Of course, she is, it’s the great American novel, or at least one of them. Peter plays his bugle outside the window and begs her to come down, but duty first, she has to stay with the patients. Don’t worry, he’ll play some patriotic music for the wounded. At the town bonfire, Peter is asked by the whole population to play something, so he toots “America the Beautiful.” Nick sneers, “how corny can you get” and leaves with his friend, only to sneak into a movie theater to see a World War II picture, “Wake Island.” Nick gets in trouble there with some snarky comments, causing one man to tell him to shut up “until you earn a fighting man’s right to talk.” This goads bad boy Nick to go even further, so the GI takes him into the alley to beat the hell out of him, but it’s Nick who does the punishing. In case you missed that Peter is good and Nick is bad, check out Peter’s reaction to a rich kid who makes light of the fact that Peter has to be up at 5am to delivery baked goods. “Get thee to a bunery,” the kid jokes. Peter looks serious as he walks over to him…and passes him, to thank the soda jerk on duty at the diner for letting them have an impromptu dance there. Nick would have trashed the place. Peter is darn pissed, but he only complains to Susan. Wanna-be actress Susan wants them to move to NYC and get married. Unfortunately, reality isn’t quite the same. All Susan can really hope for, as her nagging single mother Gloria Grahame (as usual, giving the least subtle of performances) reminds her, is a job at the town factory that employs nearly everyone. The wee hours of the morning are hopping at the main household. Ed leers at Dorothy on the bed, drunk, and when she gets religious, he cracks, “Jesus, Mary, Joseph and you. Four saints, too crowded” and sleeps on the chair. Nick and Peter still share a bed and when Nick gets in, he taunts Peter every way he can, but his suggestions that he should have long taken Susan is what annoys Peter most. This leads to a physical fight where Nick overpowers Peter, but Ed walks in and decks Nick hard across the face, refusing to acknowledge Peter may have had anything to do with it (he just gets a sweet touch to the cheek). And in just these few scenes, we have the entire family dynamic. Well, not quite. Ed is far more complex than just being a drunken bully. When he hears Peter has applied to college, he tells him he can’t go because they have no money, but Peter says he’s applied for scholarships, so Ed turns it around to make Peter seem ungrateful for having what he does. “What about the sins of the fathers? You believe that kids have to pay for what their fathers did?” he asks in a very ugly way. Peter says he doesn’t believe it. “You better hope it’s not true,” Ed says with a guffaw. This incredibly rich character has only had a few lines in a few scenes, and yet we’re unable to figure him out so far. Does he love his family? Part of it? His job? His adopted country? We have only conflicting evidence so far. Dorothy even says as much, that something has actually happened to turn him “mean,” because when she met him, he was quite the opposite. The miniseries has its first absolutely classic scene when Ed is called to school because Nick has gotten in trouble with his French teacher. Nick has made a cartoon of her where she says, “je suis tres chaud.” Ed, playing a humble immigrant, meekly says he doesn’t understand forcing her to translate, adding, “in very bad French.” “I don’t understand, I thought my son was here to learn to write good French,” Ed replies. The teacher misses the sarcasm and insults Ed, basically calling him stupid. Ed plays every line for laughs, turning each point against the teacher with a deadpan humor she doesn’t get at all, making her angrier and angrier. By the end of the scene, Ed has turned it all against her and even slapped her as well. He issues a threat to her not to take out this episode on his son. Here’s yet another layer to him: for a man who has nothing but contempt for his family, he’s certainly leaped to Nick’s defense in a bountiful way, yet when Nick thanks him, Ed turns dark again and snaps, “you don’t owe me a damn thing.” This only brings more questions about this man’s motives. Given scenes like this, is it any wonder Ed Asner won an Emmy? As if the black wounded soldier who offers Susan $800 to get started as an actress, but underlines it with an invitation to a meal with him that is too much of a quid pro quo for her to understand isn’t enough, Susan has to contend with Nick. Peter has a gig playing trumpet in a club and she goes to watch and adore. Nick shows up and flirts with her, but it’s Peter she necks with in the car. She only wants him. Nick’s temper is a topic of conversation for them, because the whole town has seen his bad behavior. “He’s really weird. I don’t know what’s wrong with him,” Peter notes. Susan does, because it’s the same reason she’s antsy: she hates small-town life and it’s driving her (and Nick) batty. She has a scheme to move to Greenwich Village with Peter and start a life, but he’s old-fashioned. He wants college and marriage first, even though she says, “we can skip the marriage part,” awfully progressive for 1945. The car in which they are making out belongs to supremely creepy Robert Reed, who basically owns and runs everything in town. “What are you doing in my car?” he asks. “We’re discussing post-war priorities,” Peter sasses, to which Robert laughs and adds, “ask a stupid question, get a foolish answer” while leering at Susan. He doesn’t mind the kids fooling around in his car, he’s just come out for the booze in the glove compartment and even shares it with them, also offering them a ride home when they are through. The car ride home is a doozy, with Robert turning every line into a double entendre, but there’s also something sad and pathetic about him. He offers Peter help getting into college and offers Susan a host of wickedness. Susan is already in a snit because Peter has forgotten tonight was supposed to be their first time (Gloria is away and Susan has dinner all planned). “This isn’t something you do lightly,” Peter says. “This isn’t something you do at all,” Susan growls. Time passes with Susan and Peter not speaking, though of course he calls once she’s stopped holding the phone waiting, so she gets on the bus to the rendezvous with the black soldier. The first episode has done what it set out to do: introduce us to the main characters, but not in a perfunctory way. We learn so much about them, but it’s what we don’t learn (Ed’s secrets, what makes Nick so rebellious, why Dorothy settled for Ed, Susan’s yearnings) that will make us excited for the second episode. No gasping cliffhangers, not yet. Only sensational writing and actors who make it matter.